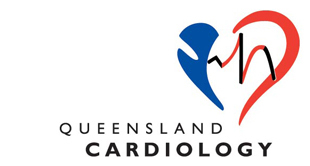 Queensland Cardiology aims to provide the highest level of care for individuals with heart disease. We are comprised of highly trained cardiac specialists and scientists who have extensive training in Australia and overseas and offer expertise in all areas of adult cardiac care working primarily from our rooms and laboratories at the Holy Spirit Northside Hospital in Chermside, Brisbane. Our outpatient facilities provide exercise and Dobutamine stress echocardiography, resting echocardiography, ECG and holter monitoring, ambulatory blood pressure monitoring and head up tilt testing. Inpatient care is provided at the Holy Spirit Northside Hospital which adjoins our rooms and provides the full array of cardiac nursing care, coronary angiography and angioplasty, interventions for structural heart disease including balloon valvuloplasty and septal defect closure, electrophysiology and pacing, automatic defibrillator implantation and trans-oesophageal echocardiography and cardioversion. Patient’s can also been seen at St Andrews War Memorial Hospital. We are also strongly associated with the hospital’s cardiac surgeons and the intensive care unit. We aim to continually improve our efforts through research and training and have an ongoing commitment to the education of general practitioners. Queensland Cardiology offers highly trained Echocardiologists and specialist Cardiac Sonographers to provide you with the best cardiac care. The upcoming GP Dinner Meeting on the 23rd October 2018 has been cancelled.